Nothing says Christmas dinner to me like a beautiful Prime Rib. It's one of the most coveted cuts of meat there are, and the price tag definitely reflects it. I think that's why so many people shy away from it. You see, you have to treat this roast like a lady. You can't "man handle" it. You can't rush it. No. This is not the kind of cut you are going to throw into the slow cooker and forget about it. It needs your time, your attention. You treat it right and it will treat you right. You try and rush it, and this meal will go down hill fast. And when you are paying $10+ a pound, the thought of it not turning out is pretty scary! But don't worry. With a little technique, and some simple salt and pepper, YOU, yes YOU can pull this off and it will be so delicious your guests will be amazed! 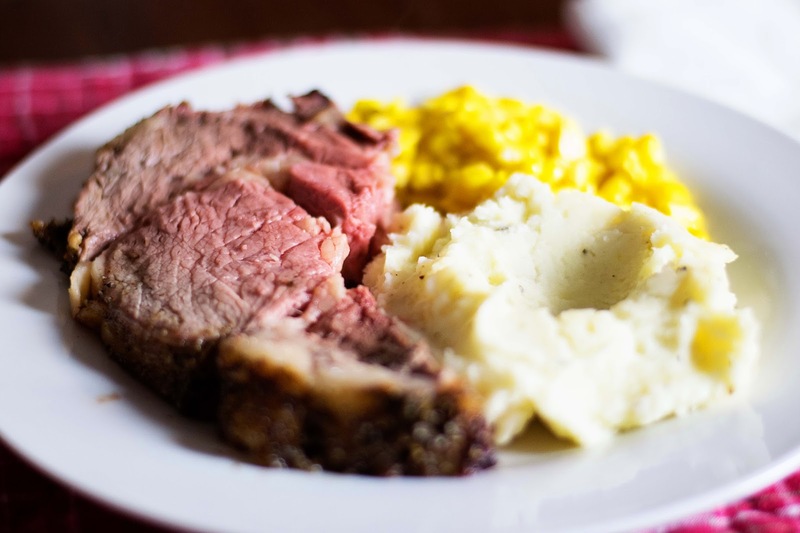 To begin you will want to remove your prime rib from the refrigerator 30 minutes before you are going to cook it. Then, preheat the oven to 500 degrees. Now remove the prime rib from its packaging and give it a nice rinse. Then, pat it nice and dry. Place it on a roasting rack, in a roasting pan, fat side up. If you do not have a roasting rack, simple make rods out of aluminum foil and make a grid with them on the bottom of your pan. You just need to make sure the the hot air is able to get all around the roast. Most of the fat on my roast had been trimmed off so I drizzled a little extra virgin olive oil over it. This will help keep the out side moist and create a nice, natural baste for the meat. Now you can place the roast, uncovered into the 500 degree oven for 30 minutes. This will give that nice crusty exterior we all love. After 30 minutes drop the oven temperature to 300 degrees and let the roast cook for 1-1.5 hours. After an hour has past, remove it from the oven and check the internal temperature with your meat thermometer. THERE IS NO CHEATING ON THIS! YOU MUST HAVE A MEAT THERMOMETER. You want it to read 135 degrees. 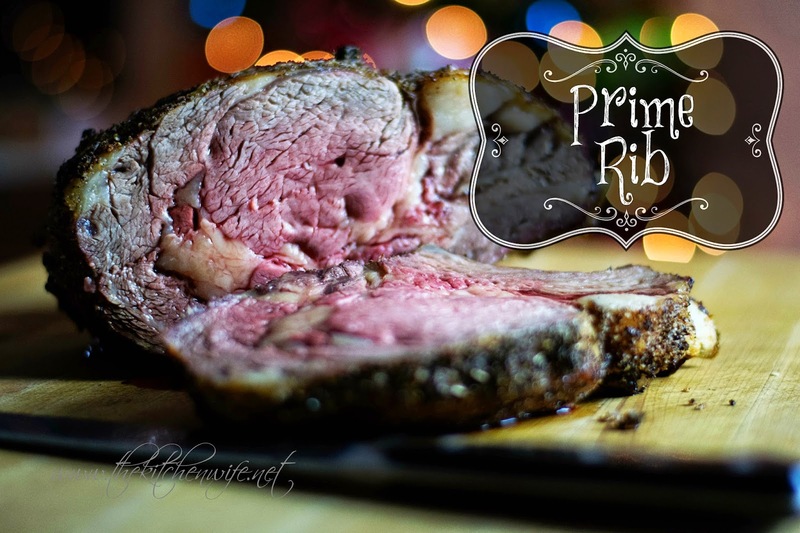 This will give you the perfect medium/rare that you want the prime rib to be. If after an hour it is not reading 135, put the roast back in the oven for another 30 minutes. Once the internal temperature reads 135 degrees, set it to the side, cover it with foil, and let it rest for at least 15 minutes. Now we are going to make the sauce for our prime rib. You are going to want and measure out the beef stock and the red wine. Place the roasting pan with the brown bits and fat in the bottom over a medium/high heat. Using a whisk, you are going to scrape up all of those little brown bits off of the bottom of the pan. Bring the sauce to a boil, reduce to a simmer, and let the sauce cook until it is reduced by half. This will take approximately 10 minutes. Once the sauce has reduce add a little butter to finish the sauce and give it a nice sheen. Now your Prime Rib is ready to slice. I actually recommend cutting it from the bone, by taking your knife along the bottom of the roast, across the top of the bones. This will make the roast a lot easier to cut. Look at that center! Tender, juicy, and PERFECTLY medium/rare! THAT is what a prime rib should look like! It is absolutely succulent looking, but wait! There's more! You can't forget to pour your sauce over it! Oh and did I mention that it makes an AMAZING gravy for your potatoes as well. Yes my friends, you no longer have to be afraid to give this holiday roast a try! I promise that if you follow these simple steps your Prime Rib will be the show stopper that people will be talking about for weeks to come! 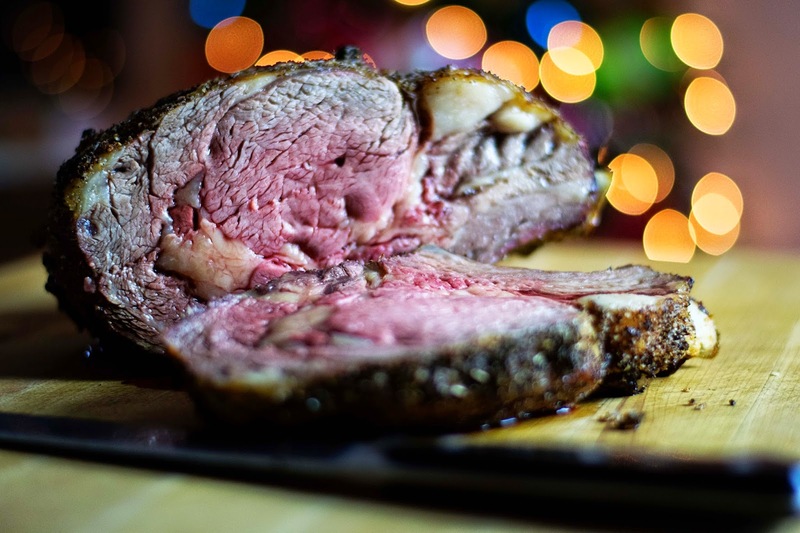 So this Christmas, BE FEARLESS, and give divine Prime Rib a try! 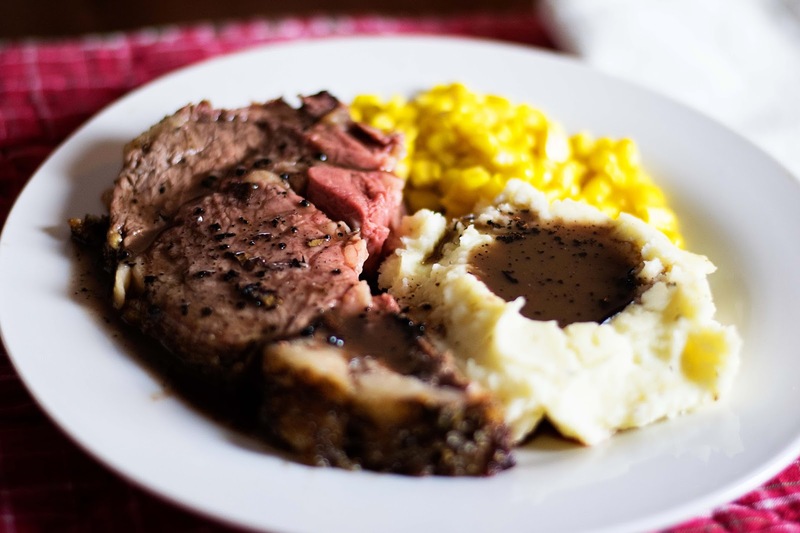 Remove the rib roast from the oven 30 minutes before you are going to cook it. Rinse and pat dry the rib roast. Rub the seasoning into the meat. Place, uncovered, in the 500 degree oven for 30 minutes. After 30 minutes, drop the oven temperature to 300 degrees. Cook the roast for 1-1.5 hours until the internal temperature reads 135 degrees. When the internal temperature reads 135 degrees, remove the roast from the pan, cover with foil, and allow to rest for at least 15 minutes. Place the roasting pan, with the leftover bits in the pan, over a medium/high heat. When the pan is hot, add the beef stock and wine. Using a whisk, scrap the bits up from the bottom of the pan. Bring the sauce to a boil, reduce to a simmer, and allow to cook for 10 minutes or until the sauce has reduced by half. Add the butter to the sauce and stir. Remove the rib roast from the bones, slice to your desired thickness, drizzles with sauce, and ENJOY! **If you do not have a roasting rack, simple shape some aluminum foil into rods and make a grid in the bottom of the roasting pan.